JNN 25 May 2014 Moscow : A working group of representatives of the Government of Stavropol region and apparatus of the Russian presidential envoy to the North Caucasus Federal District with the assistance of the Spiritual Board of Muslims of the region have identified the place of a new mosque construction. After having considered all the offered variants Muslims committee decided to choose the most suitable one near the city of Pyatigorsk. Then it was signed agreements on the allocation of land for the construction of the mosque in the region. “I thank the leadership of the region for the attentive attitude to the problems of the Muslim community and the decision to allocate the corresponding land for the construction” – said Muhammad Rakhimov after the meeting. 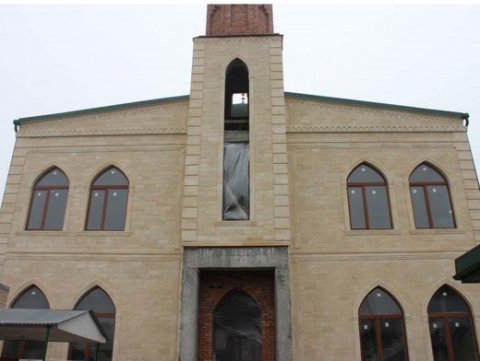 This entry was posted in Europe and tagged Caucasian, Mosque, Pyatigorsk, Russia. Bookmark the permalink.